Robert Bunsen was a native of Germany. He was a chemist who is best remembered for the invention of the Bunsen burner with his laboratory assistant Peter Desaga. 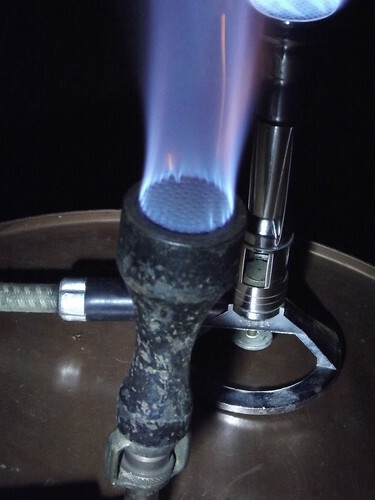 Bunsen burners are used in laboratories worldwide to this day. 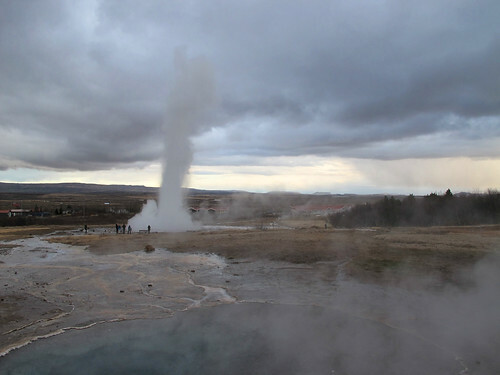 Bunsen discovered how geysers work, invented flash photography and made important discoveries in spectrometry and organic chemistry. Robert Wilhelm Bunsen was born in Göttingen, in Lower Saxony, Germany in 1811. In 1830 at the age of 19 he was awarded a PhD by the University of Göttingen. Following graduation he travelled around Europe during the following two years studying chemistry. He later taught for a time at the University of Göttingen. In 1834 Bunsen discovered an antidote for arsenic poisoning while working with the physician Arnold Berthold. From 1838 to 1851 Bunsen taught at the University of Marsburg. In 1852 he took up a teaching post at the University of Heidelberg. He remained there until his retirement in 1889. He invented several laboratory tools including a grease-spot photometer and the Bunsen cell battery. In 1859, with the physicist Gustav Kirchhoff he invented the first spectroscope which he used to discover the elements caesium and rubidium. He died aged 88 on August 16th 1899. Robert Bunsen, chemist and native of Germany, who is best known for the invention on the Bunsen burner was born in the year 1811 On This Day. 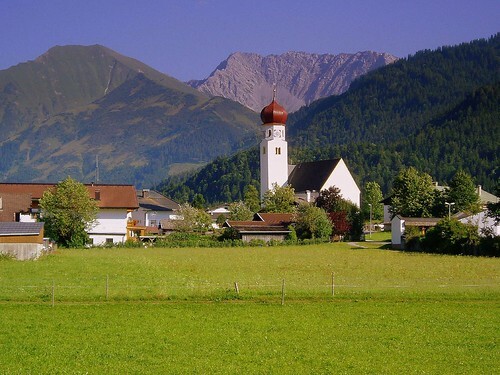 Austria is a central European country with a population of almost 9 million. It has a high standard of living and is regarded as one of the richest countries in the world. Austria declared itself bankrupt in 1811. Austria was part of the Holy Roman Empire until 1806 when it became the Austrian Empire. 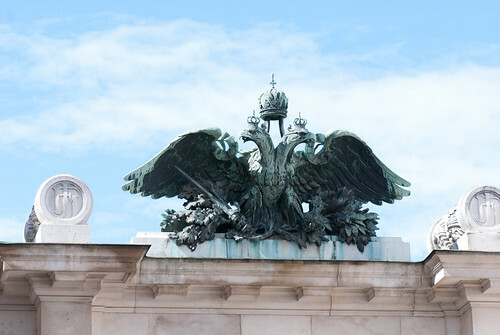 In the following years the establishment of the Austrian Empire the country became involved in fighting expensive wars. One of the most expensive was the war with Napoleon, the Emperor of France. To finance its wars Austria raised taxes and borrowed from its allies. Paper money was issued in 1762. The costly wars led Austria to increase the money supply. This led to inflation which gave rise to a dramatic fall in the value of paper money by 1811. 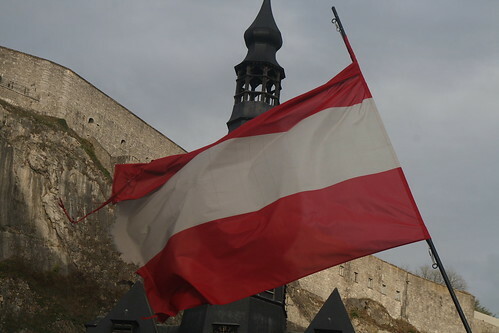 Austria, having fought expensive wars for many years, declared itself bankrupt in the year 1811 On This Day. 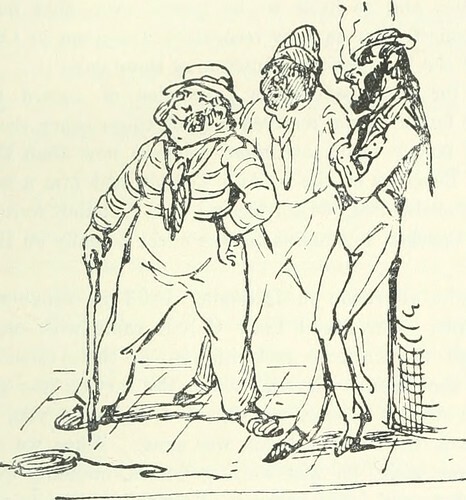 William Makepeace Thackeray was born in Calcutta, India in 1811. He was educated in England and contributed articles to university periodicals whilst a student at Trinity College Cambridge. He left University after a year and wrote for magazines and the Times newspaper. He married Irish woman Isabella Shawe and concentrated on writing as a career. William Makepeace Thackeray was born in the year 1811 On This Day. Maurice Leinhan was a journalist and historian who was a native of Waterford city, Ireland. He was also a politician who served as Mayor of Limerick city from 1883 to 1885. He was the author a book which traced the history of Limerick from earliest times to the 1860’s. The book was published in 1864. Maurice Lenihan was born in Waterford in 1811. His father was a woollen draper on Broad Street. He also ran a freight vessel on the trade route between Waterford and Newfoundland. Maurice was sent as a student to Carlow College in 1823 where he studied the classics and modern languages. At the age of twenty he worked during the summer holidays at the Tipperary Free Press in Clonmel, Co Tipperary with his cousin, Mr Hackett. Mr Hackett was editor of the newspaper and introduced Maurice to a career in journalism. In 1833 Lenihan joined the Waterford Chronicle as a reporter where he worked for eight years. He then moved to Limerick where he worked as editor of the Limerick Reporter. In 1843 he moved to Cork to work at the Cork Examiner. A short time later he moved to Nenagh in Co Tipperary where he founded the Tipperary Vindicator. By 1849 Lenihan had purchased the Limerick Reporter which he amalgamated with the Tipperary Vindicator. 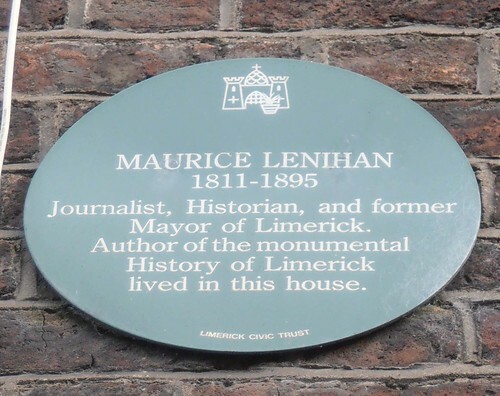 Lenihan entered politics in 1853 and was elected Mayor of Limerick in 1883. By then he had published The History of Limerick which traces the history of the city from earliest times. He died in 1895 at the age of 84. Maurice Lenihan, journalist, historian and politician was born in Waterford city in the year 1811 On This Day. The Presentation Order of nuns was invited to establish a convent in Carlow town, Ireland in the early 1800’s. Kilkenny born priest Andrew Fitzgerald knew about the work the presentation sisters were doing in Kilkenny City. He was a professor in Carlow College at the time and decided to invite the sisters to establish a community in Carlow town. 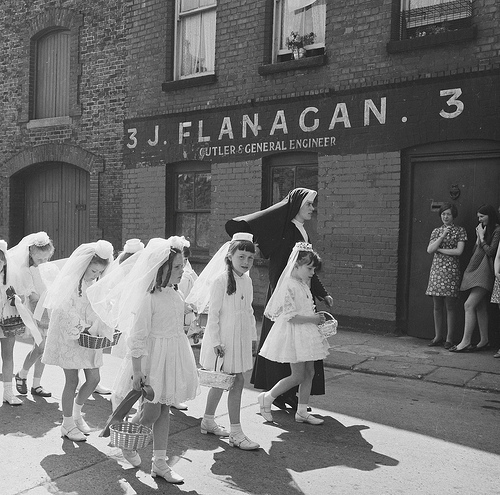 The Presentation Sisters (Sisters of the Presentation of the Blessed Virgin Mary) were founded in the city of Cork by Nano (Honora) Nagle in 1775. Nano Nagle, who was educated in France, was born into a wealthy family in Ballygriffin, Cork, Ireland in 1718. The Presentation Order established schools with the aim of educating mainly the poor and the needy. Today schools established by the Order are found in 24 countries around the world. The three founding sisters who came to Carlow from the Kilkenny Presentation Community were: Sr. Frances de Sales Meighan, Sr. Magdalen Breen and Sr. Catherine Madden. They opened their first school in the basement of a house on Tullow Street in Carlow town. Enrolment grew quickly and in 1819 a school to cater for 130 pupils was opened on College Street. The number of pupils continued to grow and by 1837 more classrooms were added to cater for an enrolment of over 300. Schools at the time, including so called hedge schools, charged around 20 pence weekly for tuition in English, Arithmetic and Writing. However the Presentation School provided free tuition. The school continued to grow eventually becoming part of the Irish National School system and a new building was opened on Tullow Street in 1899. The school catered for primary school girls only until 1947, when it became a ‘secondary top’. This meant it provided education for girls to Intermediate level. It eventually became a Secondary School for girls in 1971. In 1960 the primary school moved to a new building on the Green Lane. The secondary school became co-educational and moved a new purpose built secondary school in 1982. The Presentation Order arrived to establish their school in Carlow town in the year 1811 On This Day.